MEASUREMENT: 11 1/4" H. - 4" W.
Depression Era Kitchen Glass Straw Jars: Most Depression glass straw jars were made in the 1920s and 30s. They were available for home use, but were more often found in dime store soda fountain areas, or in ice cream and candy shops. 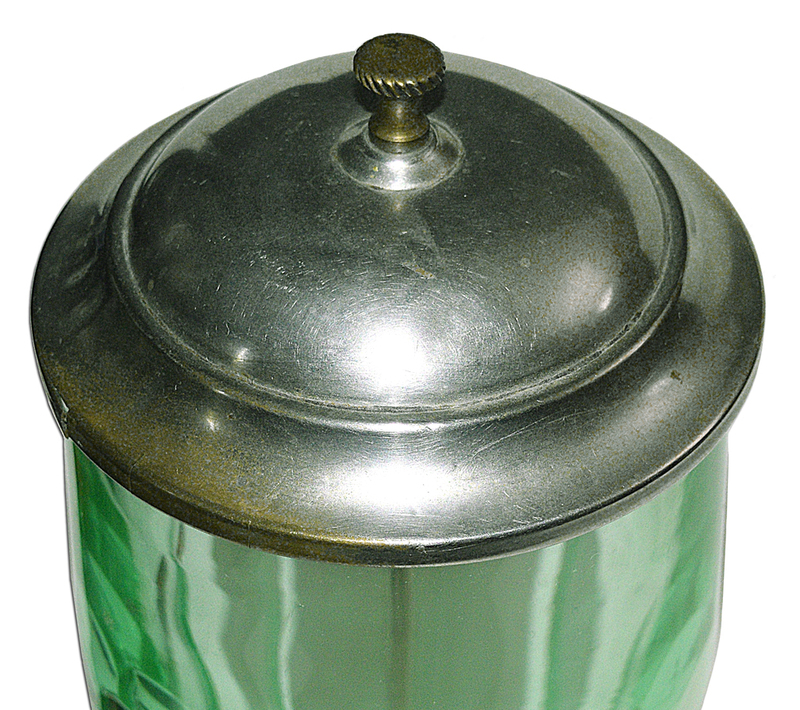 These early jars came in wide range of green colors including apple green, blue green, dark green, and light green. Green and crystal were the colors most often used, but white milk glass, marigold iridescent, and black straw holders were also made. These jars came in different heights. The taller jars are harder to find. The molds were owned by private companies who commissioned these pieces to be made. This is one explanation for the varitions in color. If you can find a copy of Gene Florence's book on kitchen items, he shows a good sized collection of these early straw holders. Other colors were made in the late 1930s through the 1950s with new more stylized molds. These straw holders did not have the tyical wide panels that the older straw holders have. Straw jars have been reproduced. They are thicker and of poor quality. 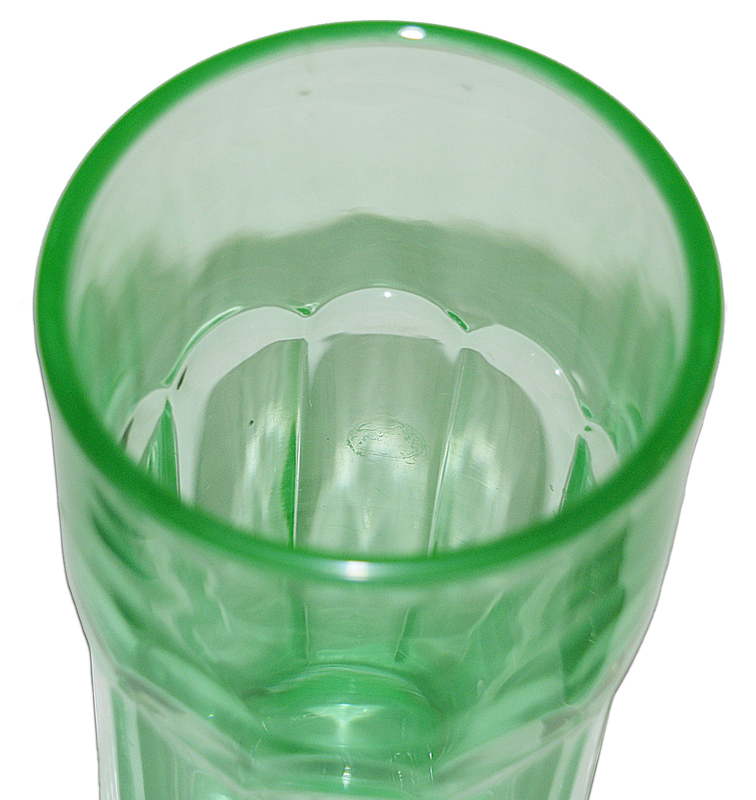 The colors are not the same and do not look good with other Depression Glass kitchen items. Anyone collecting early kitchen items will not have a problem telling an old jar from a new one. If you are unsure, ask questions. Make sure that the dealer you are buying from will guarantee that the piece is authentic. 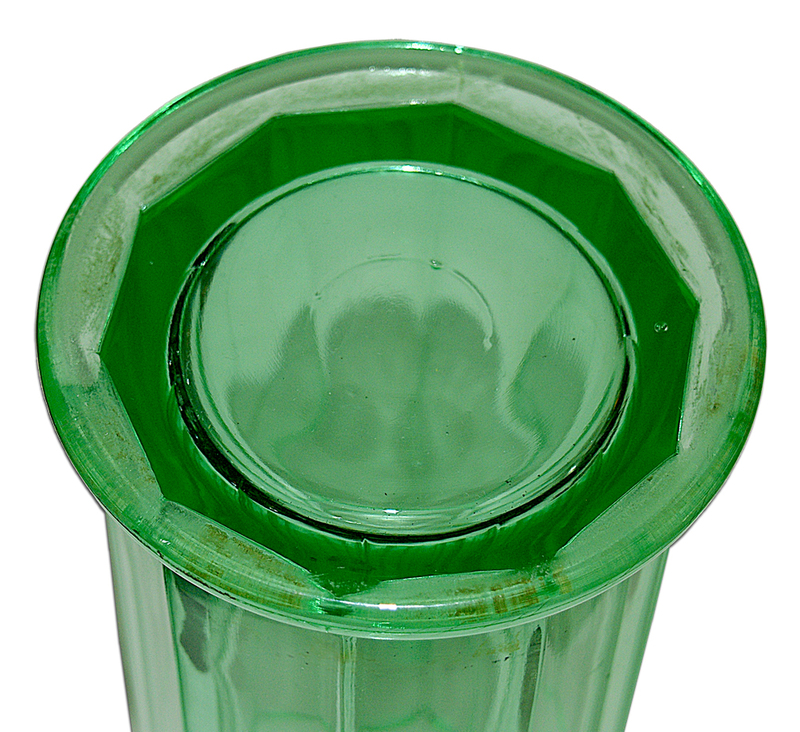 Old straw holders are sought by kitchen glass collectors, and not easy to find in good shape.